The Bowmore is a beast of a single malt, distilled during the springtide. It is intensely powerful yet beautifully balanced. 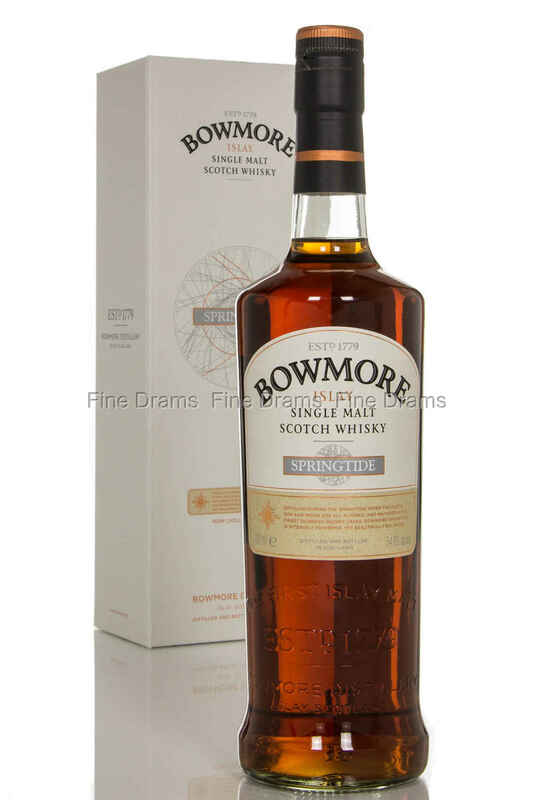 It was matured in the finest first and second fill Oloroso sherry casks, giving it a deep, intense and rich sherry sweetness, perfectly complimenting the intense peat of Bowmore. For maximum flavour, the Bowmore Springtide is bottled at glorious cask strength.